Lake Tahoe is one of the largest inland freshwater lakes in the United States, and the largest alpine lake in North America. 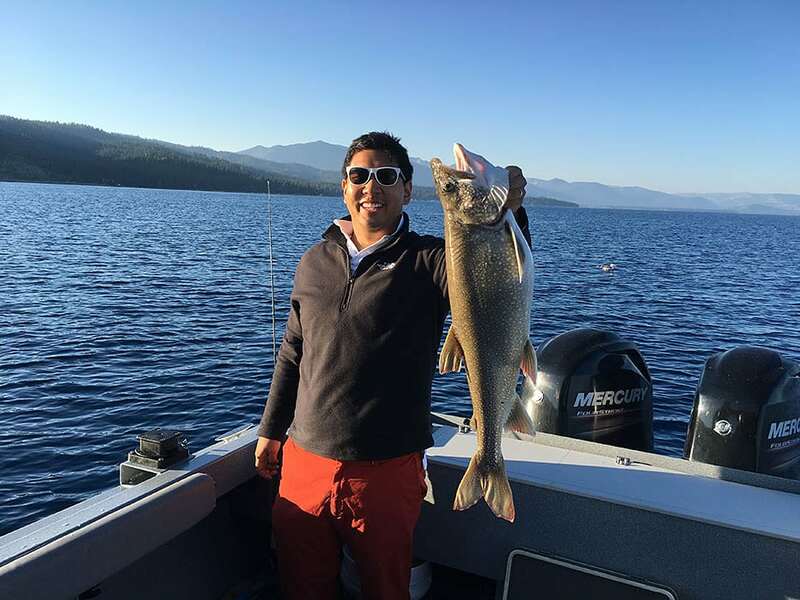 Located in the heart of the Sierra Nevada mountains and on the border of California and Nevada, Lake Tahoe spans more than 122 million acre-feet, reaches depths of up to 1,645 feet and offers great conditions for year-round fishing. Aside from the rainbow trout, brown trout, mackinaw and kokanee salmon that are caught year-round, bass, crapie, bluegill, whitefish, catfish and sculpin are caught during various seasons. Though Mile High Fishing is a year-round fishing guide service, winter is one of the best seasons to charter with us. Boat activity on the lake is fairly low and the fish remain very active. Ready to Fish Lake Tahoe? Contact us today to learn more about our private and public fishing charters that we offer. We accept anglers of all ages and skill levels, and are dedicated to providing the insight, equipment and fun environment you need to enjoy your excursion and return to the dock with a great catch.